← How Much Difference Does Ballistic Coefficient Make? When someone mentions the 7.62×39 Russian cartridge, accurate isn’t usually a word that comes to mind. The cartridge itself is capable of decent accuracy, the problem lies with the type of firearms usually chambered for the cartridge are not usually designed to be tack drivers. We are all familiar with the SKS and AK rifles that are rugged and reliable, but we feel lucky when we can hold a 3 inch group at 100 yards. 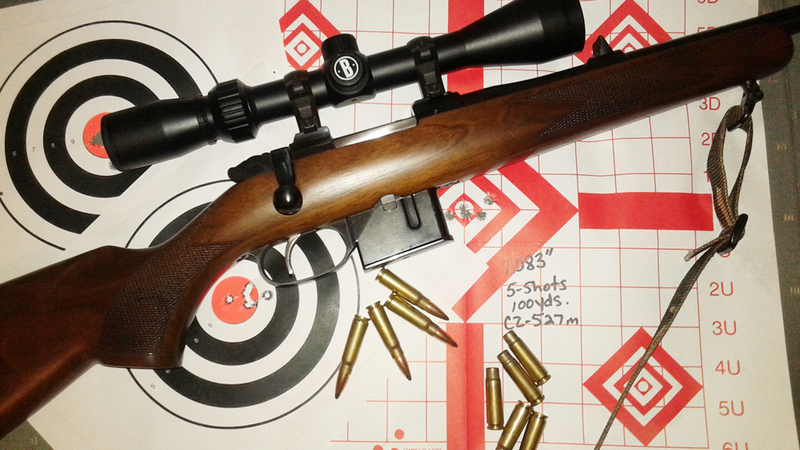 Around ten years ago, I bought a CZ527M chambered in 7.62×39, just to see how accurate the little round can be. 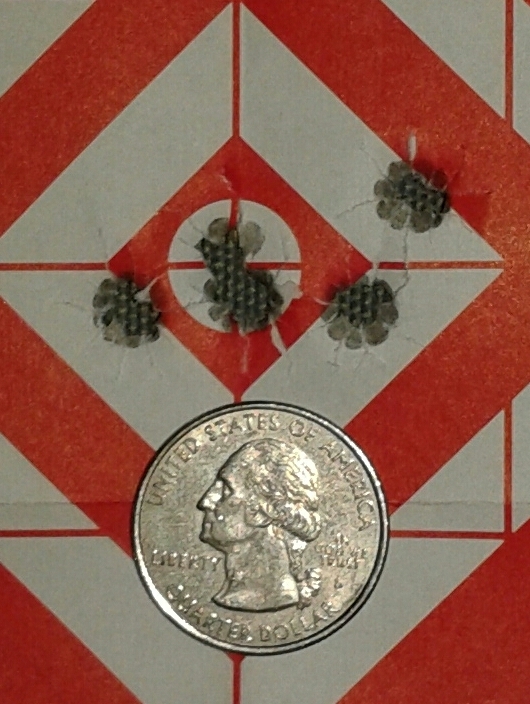 I played with it some and the little carbine usually averaged around 1.5” groups at 100 yards. A couple of weeks ago I decided to actually attempt to tune a load for my little CZ, and see what it was capable of. 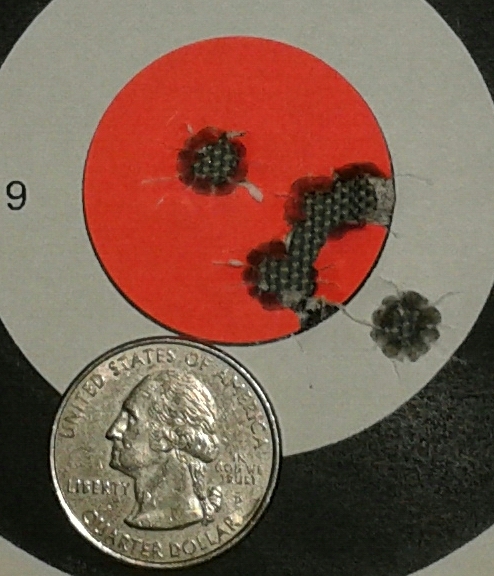 The three group average was .967”, not too bad for a factory carbine. *While this load was safe in this rifle, it may not be safe in all firearms. This entry was posted in Uncategorized and tagged 7.62x39 Russian, accuracy, military rifles, old military rifles, shooting accuracy. Bookmark the permalink. 17 Responses to How Accurate is the 7.62×39 Russian? I’m gonna go out on a limb and make this statement before I read the article: While some cartridges have more of a propensity for accuracy than others e.g. the .308 is known for intrinsic accuracy, it is my opinion that any cartridge can be loaded to perform assuming its fired from a good bolt action rifle with a good barrel. Quality brass, bullets, powder, primer and patience can yield a cartridge with sub moa performance. Don’t see benchrest accuracy but definitely acceptable accuracy. Your choice of rifle is interesting and you are a good judge of hardware. I have 2 CZ .22lrs, the American and the full length stock model and both of them are high quality rifles and reasonably priced. American will outshoot my Ruger model 7722. I’ve worked up a load in 1993 using 150gr Pro-hunter# 2130 and than Hercules 2400 that shoot two inch groups in my SKS with iron sights. Cheep Chinese and Russian ammo would at best pattern around four to five inches on a good day. I would agree. I’ve got a CMMG Mutant AKS13. It has a good barrel and a decent trigger. 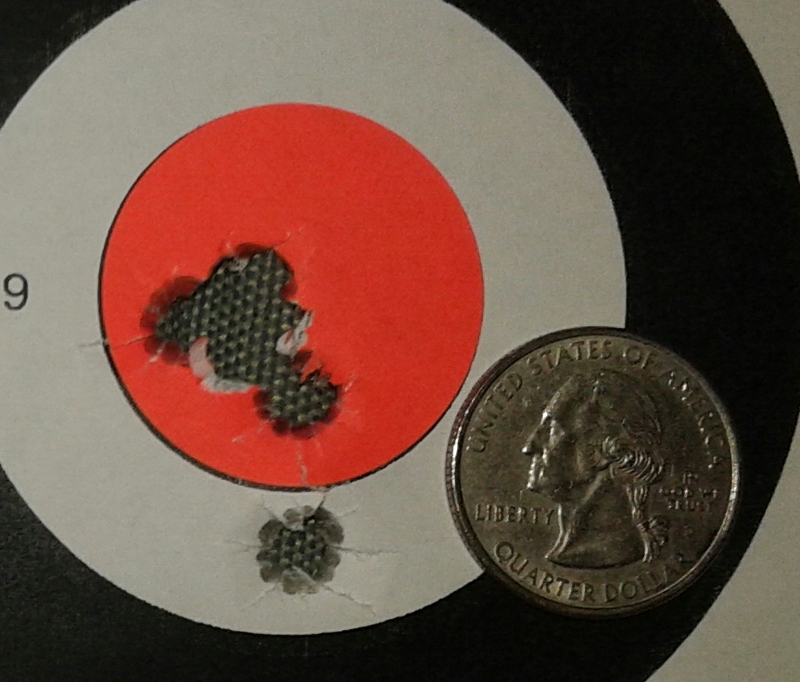 I recently made up a load using Hornady brass & bullets which will shoot consistent 1″ groups off of a Caldwell Lead Sled. I now know it’s me and not the gun when I shoot poorly. The problem with the 7.62X39 is not the case design its the twist rate in the barrel for the rifles that use them. That 9.25 twist rate in barrels for 125 grain bullets is way too fast it should be more like a 1/12 rate. That issue doesn’t stop there even if you shoot heavier bullets with lower velocity there is a change in the gas cycle system which causes problems. In slow motion video’s of the AK the barrel actually whips just behind the gas block the induced osculation is huge by any standard. In large part the inch moments of the gas exit hitting the gas piston is large distance above the axis of the bore , bending it ! The SKS is only a little better but stock bedding and the fast twist rate keep the cartridge in a disadvantaged accuracy issue. In a good bolt action with a much slower twist the little cartridge is more than capable of sub MOA accuracy and I suspect near beach rest capability . Hi Gary, Just wondering what dies you are using & if you have done any extra work to the rifle. My wife has a CZ 527 as well & i was just looking into reloading for it. Interesting, I’m a big fan of 7.62×39 (and CZ’s), always have been. Cool to see, gave me some stuff to think about. Gary, what was the MV of that load? It’s been awhile since I shot that. The best I can remember, it was around 2250 FPS.